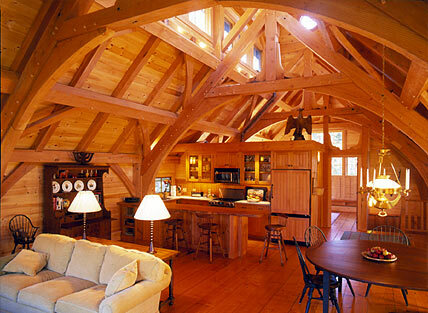 Post and Beam Home Construction - Timber Frame Home and Barn Builder in Maine - Connolly & Co. Welcome to Connolly & Co., a design-builder of custom timber frame homes and barns for over twenty-five years. Connolly & Co. timber frame homes combine the warmth and charm of wood with state-of-the-art energy conservation techniques. Our experienced team of dedicated craftsmen remain faithful to the traditional joinery and attention to detail of New England's timber framing past, resulting in quality structures that will survive for generations. Connolly & Co. craftsmen are ready to discuss designing and building a timber frame home or barn for you. We want to make your building process a pleasant experience from the start.